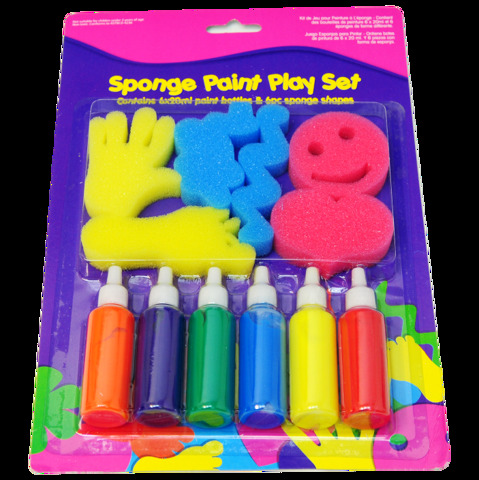 Sponge & Paint Set 6+6Pc. Each Bottle Is 75 x 20mm. Sponges are 15mm Thick. Purple | Green | Yellow | Orange | Red | Blue Paint. Red | Blue | Yellow Sponge Shapes. Sponge | PP Plastic. 136G Packaging: Blister Card.